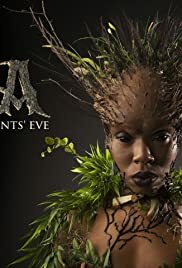 Monique Valliere, a young businesswoman in modern New Orleans, is lured into a deadly confrontation with a ruthless sorceress who conjures the dark spirits of voodoo in the eerie swamps of Louisiana. Monique, the owner of a New Orleans voodoo shop wakes up from a disturbing dream. When a series of seeming coincidences forces her to lead a group of tourists into the bayous for a tour, she finds that she is actually part of a sinister bargain between a ruthless sorceress and the powerful spirits of voodoo called the Lwa. Her nightmare turns out to be prescient, as she is forced to battle the supernatural, save her flock, and conquer her fears.